This post tells the method to install PyViz (or visualizer module) in ns3. Visualize is a module that shows the output in the form of animation and there are some packages need to be installed. Thus "visualize" is installed successfully. 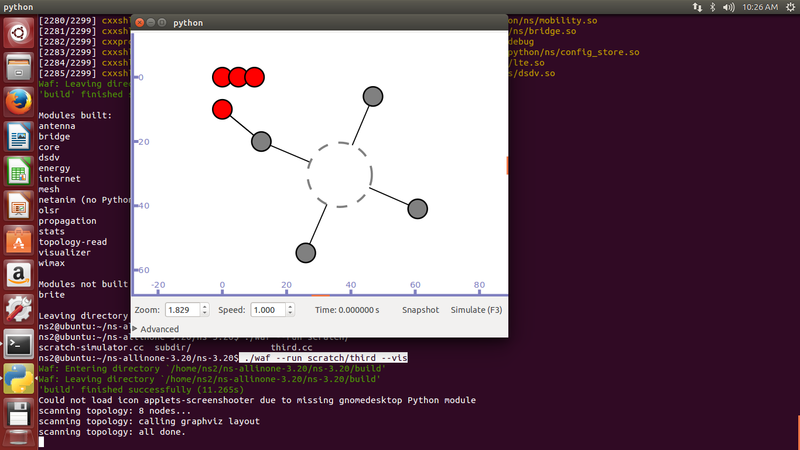 Here is the screenshot of the visualize.